Out of Heavy paper or cardboard make cards with all the letters of the alphabet except for Q,X and Z. Then make the following extra letters 3 -Bs, 3-Cs, 4-As, 4-Os, 4-Os, 5-Ls, 4-Ns. There should be a total of 50 cards. The patrol of the person who first answers picks a name from the list to try and spell out and starts picking out the letters. As additional patrols start to try and spell words they can either pull letters from the first pile or try and steal them from another patrol. First patrol who completes a name wins. 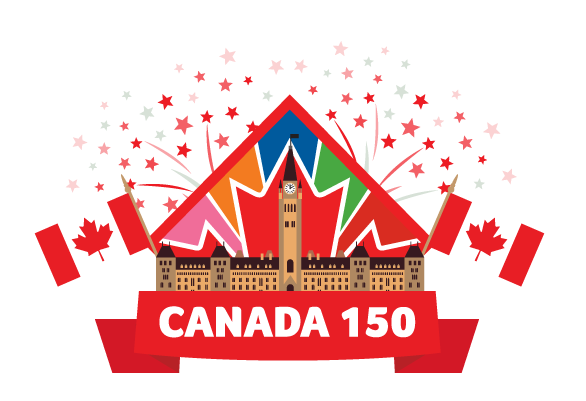 2017 is Canada’s 150th Birthday and the Canada 150 challenge is designed to help celebrate. The challenge is in the form of an instant meeting with activities around a theme of holding a birthday party for Canada. I’m sure this is one that almost every unit will try and make time for this year. A couple of years ago I developed a Branches Relay for teaching my Guides about the other branches of Guiding. This year we’re working on the Canadian Guiding badge and so I created another relay to teach them about Lones, UoFS, Link, Trefoil Guide and TREX (I know TREX isn’t listed in the badge but I felt it was in the spirit of the badge). To use the relay print one copy per patrol (I use light card so they can be used again). Then cut apart each image and fact. Scatter the cards face down at one end of the playing area, and have the girls line up relay style at the other end. On the word go, each patrol sends one girl at a time to the scattered cards. They have to try and find a card their patrol didn’t yet have and return with it. If they already had it, the girl who brought it would have to run it back and try again. Otherwise the girls waiting for their turn to run, would sort the pieces by orgaization. First patrol to get all the correct pieces sorted won. 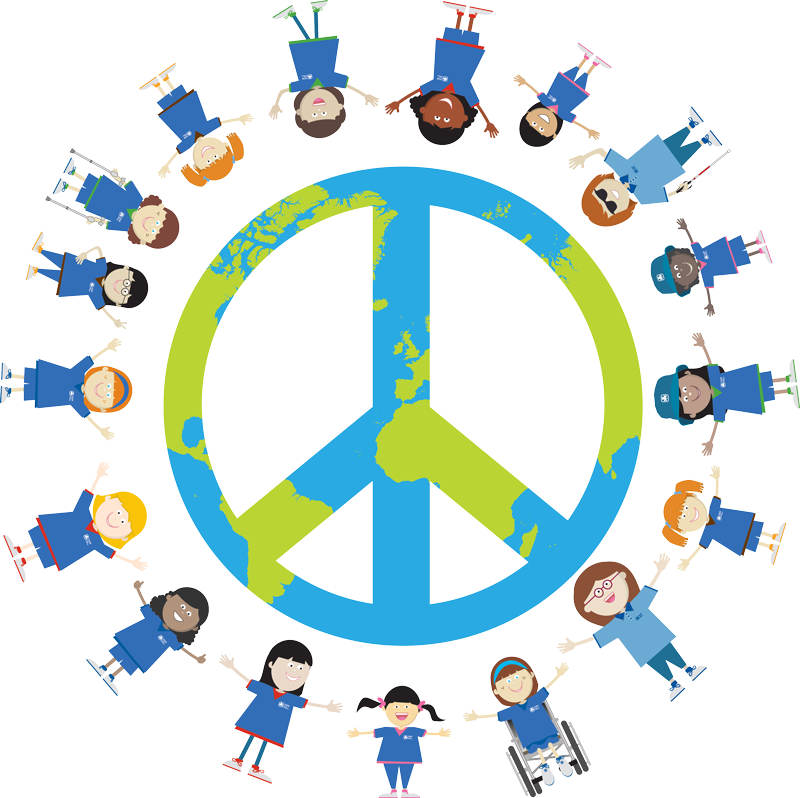 Plus a number of smaller activities including writing a unit code of conduct, ripple effect and a closing activity. 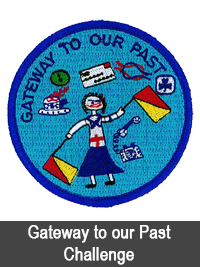 The Gateway to Our Past challenge is a Guiding History challenge from Alberta. It is designed to be used with heritage boxes available from the provincial office. I know Ontario has similar boxes so it may work in many provinces. To complete the challenge the girls must learn (and try on) old uniforms, learn heritage skills and talk to someone who was in Guiding in previous generation. Crests are available from the Alberta provincial office. What was Included: We had a schedule of activities the whole day. We got to pick four workshops. They were spaced out such that there was time between each one to visit houses in the village or do self directed activities. We also had a scheduled time in a shaded location to eat our lunch. There was a scheduled Guides Own at the end of the day but it was really just a closing ceremony. Booking: Booking was straight forward but I had some issues booking the workshops because it required me to click on a very subtle link on the booking receipt. The staff at the Village were very sympathetic and we were still able to get all our first choice workshops. Once we arrived they had a check in table that lead directly to the payment desk. This was the first year they held Girl Guide day but it didn’t show. Everything was very well organized. Program: We choose to do workshops on games, baking and homemaking, quilting and the print shop. In the games workshop the girls made thaumatrope. In the baking and homemaking session they made spice cookies, turned butter, carried water from the well with a yoke and dusted with a duck wing. The quilting workshop involved the girls contributing to a button quilt that was made by many hands over the course of the day. In the print shop two of the girls were invited back to try the printing press while the staff answered questions. The programs offered all worked well with the Provincial Heritage badge. We brought some information on the Provincial Coat of Arms and the origins of some local place names with us and covered that with the girls sitting under a big tree. I would recommend bringing sit-upons. Food: There was no food provided and the girls brought packed lunches. There is a place you can buy food though which the leaders used for coffee and tea. Crest: A nice crest was included in the price and was handed out during the closing ceremony. What was Included: A full Saturday of program (starting at 10 am) and use of a two story barrack building for our sleepover. They included a period appropriate dinner, before bed hot chocolate and breakfast. We brought our own lunches and a couple of snacks. Booking: Booking was fairly painless. I completed the whole process by e-mail. I contacted them June 2015 and at that point they only had 4 weekends left. So you clearly need to book this event well in advance. They can only accommodate one group per weekend. Then a month before our sleepover I had to send them some documents including the number of girls and leaders, dietary restrictions and workshop selections. We paid at the fort when we arrived. We did have to promise a minimum of 25 girls. The first two leaders were complementary and the others were very inexpensive (I’m sure they were just covering food costs). Program: We completed the Heritage badge at the fort and part of the Folklore badge. They have a wide selection of workshops you can take. Some might be more relevant to a school group but there were lots that were relevant to our program. We learned about the history of the fort, baked in a historic kitchen, tried on uniforms, played instruments and learned how they were used at the fort, tried signalling with semaphore, learned a period dance, learned period songs and heard some stories that were a little bit spooky. All the facilitators were fantastic. Food: The food the fort provided was really good. The dinner consisted of a beef (or vegetarian) stew, bread, rice and carrots. There was plenty of everything no one left hungry. For breakfast the girls had a choose between cold cereal or oatmeal. Accommodations: There were bunks on both floors of the barrack building. There are also three large tables with benches on the main floor. The bunks were sturdy and included a matrices. They didn’t have guardrails so I’m not sure I’d want to sleep over with younger girls. I did wish we’d included indoor shoes/slippers on the girls kit lists and they tracked mud and goose droppings in. The lighting situation is a little weird as the lights are operated from behind a locked door so we had to wait for the night security guard to come by and switch off the main lights. But there are lanterns on a dimmer switch throughout the building so you can have a little bit of light during the night for any girls who might be a bit nervous. The bathrooms are in a different building then the sleeping quarters and the fort asked us to always make sure and adult was with the girls when they were traveling to and from the bathrooms. This was a tad inconvenient. Coffee and Tea are available for purchase in the fort store but only during the hours the fort is open. If Guider feel that they will need caffeine to get though the night or early morning, you might want to bring a kettle. Crests: We were able to buy the girls a lovely crest at the fort store. We had a choice of two designs. The crests were on the expensive side, but we’d saved so much money compared to other sleepovers not having to pay full price for the leaders it was still quite affordable.